Background As the evidence continues to emerge about the relationship between sudden unexpected death in infancy (SUDI) and the way an infant sleeps, providing consistent and evidence-informed recommendations on how best to sleep infants is an ongoing challenge. A recent case series study in the state of Victoria, Australia, identified 45.8% of sleep-related infant deaths occurred whilst bed-sharing. This study prompted the need for further exploration of infant sleeping practices, including bed-sharing, in this population. 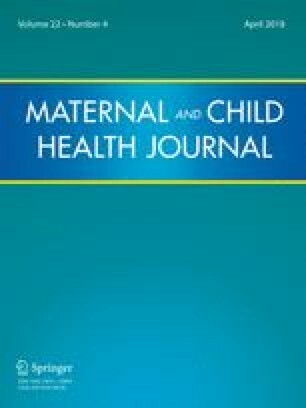 Methods A cross-sectional survey of 2745 mothers attending the Maternal and Child Health (MCH) Service across Victoria, Australia was conducted. Data included the prevalence and circumstances of bed-sharing, family demographics, and SUDI risk and protective factors. Associations between bed-sharing and SUDI risk and protective factors were examined using univariate and multivariate analyses. Results Bed-sharing prevalence was found to be 44.7%, with 21.5% reporting that this was intended. Multivariate analyses showed bed-sharing was less likely amongst those with an annual household income above $AUS104, 000 (OR 0.72; 95% CI 0.54–0.96) and more likely amongst mothers who breastfed (OR 1.71; 95% CI 1.23–2.37). Conclusions Bed-sharing prevalence in this population compares closely with the Victorian case series study and a previous cross-sectional study in the state of Queensland, Australia, in 2002. Noted gaps in how families are implementing current recommendations about reducing the risk of SUDI were identified for sleep position, sleep location and the sleep environment. Further consideration needs to be given to addressing these gaps and applying these findings of current bed-sharing practices to the development of infant safe sleeping policy and programs. Australian Bureau of Statistics (ABS). (2011). The Australian census household form 2011. Retrieved from http://www.abs.gov.au/websitedbs/censushome.nsf/home/2011hhftranscript%5C. Australian Bureau of Statistics (ABS). (2014). 3303.0—Causes of Death, Australia, 2013. ABS, Canberra. Retrieved from http://www.abs.gov.au/ausstats/abs@.nsf/mf/3303.0/. Australian Government Department of Health (2014). Immunise Australia Program: Australian National Immunisation Program Schedule. Retrieved from http://www.immunise.health.gov.au/internet/immunise/publishing.nsf/Content/national-immunisation-program-schedule. Centers for Disease Control and Prevention. (2014). Data and statistics. Retrieved from http://www.cdc.gov/datastatistics/. Consultative Council on Obstetric and Paediatric Mortality and Morbidity (CCOPMM). (2014). 2010 and 2011, Victoria’s mothers and babies: Victoria’s maternal, perinatal, child and adolescent mortality. State Government of Victoria. Retrieved from http://docs2.health.vic.gov.au/docs/doc/E7B8F6942838375ACA257CFD0003DA74/$FILE/CCOPMM%20Report%202010%20and%202011%20final%20version-v02.pdf. Department of Education and Early Childhood Development (DEECD). (2009). Maternal and Child Health Practice Guidelines 2009. Retrieved from http://www.education.vic.gov.au/Documents/childhood/professionals/support/mchpracguidel.pdf. Department of Education and Early Childhood Development (DEECD). (2011). Maternal and Child Health Service Guidelines 2011. Retrieved from http://www.education.vic.gov.au/Documents/childhood/professionals/health/mchsguidelines.pdf. Department of Education and Early Childhood Development (DEECD). (2013). Maternal and Child Health Safe Sleeping Checklist, last reviewed April 2013. Retrieved fromhttp://www.education.vic.gov.au/Documents/childhood/professionals/health/Safe%20Sleeping%20Checklist%20SIDS%20and%20Kids%20Victoria.pdf. Department of Education and Training (DET). (2014). Maternal and Child Health Annual Report Archive, Annual Report 2013–2014. State-wide Reports. Retrieved from http://www.education.vic.gov.au/Documents/childhood/providers/support/2013%2014%20Victoria%20Statewide%20Report.pdf. Department of Human Services. (2015). Australian Government: Health Care Card. Retrieved from http://www.humanservices.gov.au/customer/enablers/centrelink/health-care-card/eligibility. Dodd, J. (2012). Evaluation of the department of health western australia operational directive state-wide co-sleeping/bed-sharing policy for a health hospitals and health services. Collaboration for applied research and evaluation. Telethon Institute for Child Health Research under contract with the Department of Health, Western Australia. Retrieved from http://www.healthnetworks.health.wa.gov.au/docs/TICHR_Co-sleep_2012.pdf. Government of South Australia. (2011). Best Practice Indicators for Health, Families SA and Childcare Staff. South Australian Safe Infant Sleeping Standards. Retrieved from http://www.sahealth.sa.gov.au/wps/wcm/connect/a965e20048a319a3bafcfe7675638bd8/4858+Safe+Sleeping+Standards.V9.2.PROOF.PDF?MOD=AJPERES&CACHEID=a965e20048a319a3bafcfe7675638bd8. International Society for the Study and Prevention of Perinatal and Infant Death (ISPID). (2013). How to keep your baby healthy and reduce the risk of Sudden Infant Death (SIDS). Retrieved from http://www.ispid.org/id_prevention.html. Ockwell-Smith, S., Cassels, T., Stevens, H., & Narvaez, D. (2013). SIDS: Risks and realities. A response to recent findings on bedsharing and SIDS risk. A praeclarus press white paper. May 21, 2013. Retrieved from http://praeclaruspress.com/press/sids-risks-and-realities/. Red Nose. (2017). What does sudden unexpected death in infancy (SUDI) mean? Retrieved from https://rednose.com.au/article/what-does-sudden-unexpected-death-in-infancy-sudi-mean. SIDS and Kids. (2014). Safe sleeping. Retrieved from http://www.sidsandkids.org/safe-sleeping/. From 2017 Retrieved from https://rednose.com.au/section/safe-sleeping. United Nations International Children’s Emergency Foundation (UNICEF). (2013). UNICEF U.K. Baby friendly initiative statement on new bed sharing research. Retrieved from http://www.unicef.org.uk/BabyFriendly/News-and-Research/News/UNICEF-UK-Baby-Friendly-Initiative-statement-on-new-bed-sharing-research/. Young, J., Watson, K., & Kearney, L. (2013). Literature review: Bed-sharing and co-sleeping. To be read in conjunction with the ACM position statement on Bed-sharing and Co-sleeping. Retrieved from https://4midwives.cdn.aspedia.net/sites/default/files/uploaded-content/field_f_content_file/acm_cosleeping_lit_review_20141216_0.pdf.